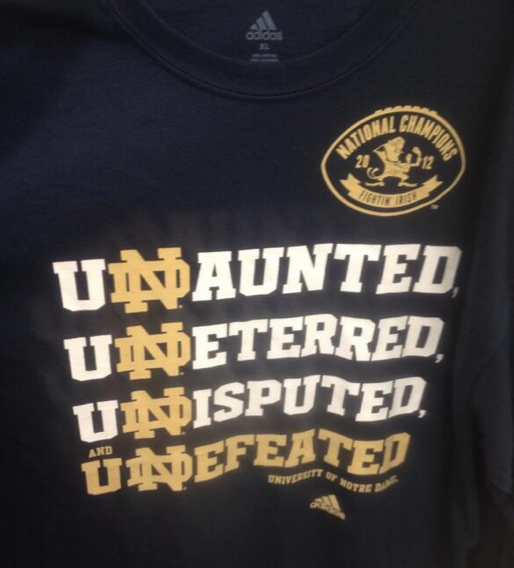 I Wonder If Manti Te’o Has Seen These Shirts? Um… ND lost. If I make it out to Chargers park for Training Camp… I’m finding one of these and having Manti sign it. Too soon? This entry was posted in Football and tagged Chargers, Manti Te'o, manti teo shirt, Notre Dame, notre dame championship tshirt. Bookmark the permalink.